Canada, Ukraine, and "the rest of the world"
Allow me to start with a media lie, or perhaps in the jargon of parliament it was a "mis-statement' or perhaps the speaker "misspoke' or evaded the truth. However, in common language, in plebeian street language, it was a lie. 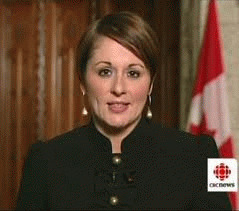 Rosemary Barton, while hosting Power and Politics (Monday, March 17, 2014) introduced the Crimea referendum by announcing the statistical results and then adding as commentary that there was "no other choice on the ballot." The impression, especially for anyone who is largely ignorant of Crimean-Ukrainian-Russian history, would spin it such that the bad guy Russians only allowed one item to vote on. Unfortunately for Ms Barton, who probably knew better, and decided to display wilful ignorance, the other question asked if the voter wished to remain with the status quo. That status, as determined by a 1992 agreement was that Crimea would be an autonomous region within the Ukraine, the Russians could keep their historical port of Sevastopol (founded by Empress Catherine II in 1783, and in and of itself a further autonomous region within Crimea), and could keep the military establishment there. As I indicated in a previous report, in 1994 Crimea declared independence, the Ukraine denied it (Russia at the time was much too weakened to respond in any fashion) but the vote went ahead anyway, with about an 80 per cent agreement for independence. All this would indicate that perhaps, while the truth evades Ms Barton and many other western political pundits ( I include standard politicians among that group) the reality is that, yes, a fair and overwhelming vote for independence was given by the people of Crimea - as had occurred twenty years earlier. Even earlier, it was Krushchev who gave the eastern portion and the Crimea to the Ukraine, hoping to water down the still latent naziism that survived World War 2 in western Ukraine. Following the scroll on Power and Politics it was obvious that today's pundits were not within the general consensus of comments. Easily half the comments supported the vote - as a rough estimate I would put it at three out of five supporting the vote. The three pundits representing the three main political parties all gave the same message and all appeared to be wilfully ignorant of the background issues and the history of the region. From the verbiage coming from the Canadian parliament, Canada may as well be the fifty-first state of the union. The main message concerned the illegality of the vote, which the considerations listed above do not support, followed by the "sanctions" that will be imposed by Canada. Let's see, perhaps we can sanction oil and gas? No, hmmm, they already have more than enough of that. Okay, how about wheat"? Well, no, they grow most of their own. Got it!! We'll sanction the elite and their money holdings! Presto! And then we'll support the EU and the US as they do the same. So maybe thirty or forty people within the power circles of the Kremlin will face travel restrictions and some bank accounts possibly being frozen along with perhaps some property placed under lien somewhere. Brilliant - I can hear the Russians quaking in their boots! Of course all of this is a knee jerk reaction based on neither the reality of Crimean/Russian history, nor on the current state of global economics. It was interesting to go to CNN and FOX news on the internet where Canada is not even mentioned - face it, we are a third rate power with megalomaniac impulses to strut our "chicken hawk' power on the international stage, where we are generally ignored. I must hand it to the pundits that they generally recognized that sanctions are essentially a slap on the wrist, pretty much the stroke of a feather. Canada has no sway in this section of the world and I would argue that the pundits are mainly looking out for the Ukrainian vote in Canada. Other actions could include expulsion from the G7(8), support of the EU sanctions, and as addressed hopefully by the pundits - negotiation. First of all rest assured that Russia is not too terribly concerned about the G7, a small group of western countries that do their best to monopolize global monetary and corporate policy. Fortunately they have been over-stepped by the G20 - and with China, India, Brazil, and South Africa as members (four of the five BRICS) takes a much different alignment than the G7. As for the hoped for negotiation, that was non-starter from the beginning of U.S. covert actions designed to topple the legitimately elected government. Sure it was a corrupt government, but so are many other governments that support the U.S. line, including the U.S. government itself. There were to be elections held next year - the ensuing year would be the time for negotiations. Canada's main role with perceived trouble spots under the Harper government has been to recall embassy staff - a great way to negotiate. In sum, Canada has no weight, oversized pretensions, and a compliant media and parliament within the outlines of U.S. foreign policy. If Rob Anders wishes to use military force, perhaps he should put his chicken feathers away, grab some Canada Tire duck hunter camouflage and join the Ukrainian skinhead forces. The "rest of the world"